Welcome to Borders Arts Trust blog! 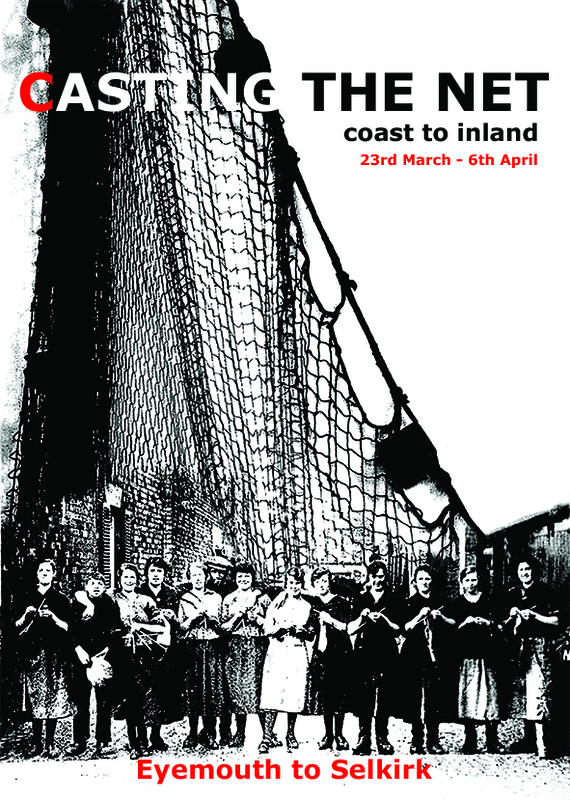 Borders Arts Trust new project for 2013 invited artists in the Borders and beyond to submit proposals for new work to be made on the theme: Casting the Net: Coast to Inland. 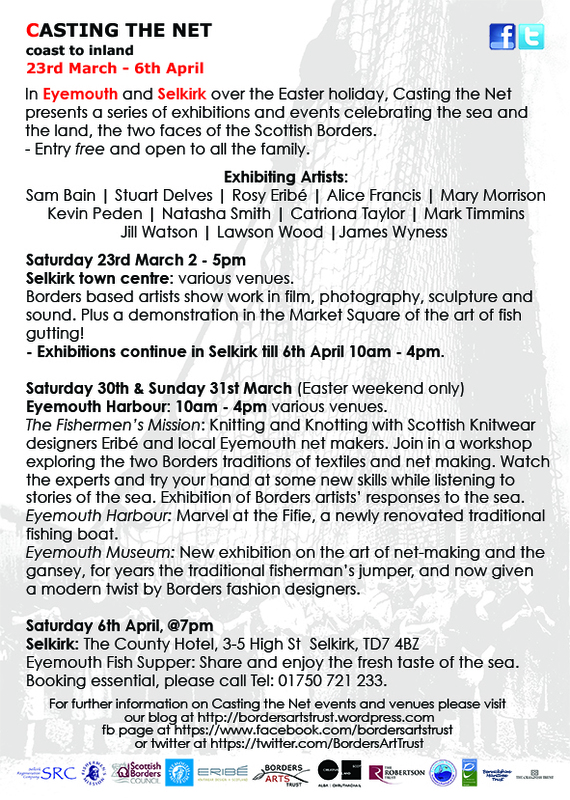 The project will go live to the public in empty shops and industrial spaces in Eyemouth and Selkirk for two weeks in spring 2013 (proposed dates 23rd March – 6th April). The selected and invited works will explore some aspect of our relationship with the sea and fishing: how it shapes life on the coast and impacts inland, with the potential for connections and the flow of ideas in both directions. The works will also effectively engage with the concept, the materiality of place and relevant trades/crafts and the lives of the people living in Eyemouth and the Inland Borders. In negotiation with local regeneration bodies Borders Arts Trust have fostered links and collaborations in order to to find spaces in both towns and to match artists with appropriate people and places.